Haul It With You, Or Ship It Home. - What you save on sales tax will probably cover the freight charges. "Chocolates To Die For." Oprah loves their wares and says so often. 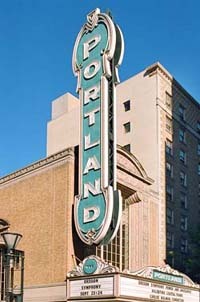 400 SW 6th, - Downtown, on Transit Mall - (503) 205-5900. A nice big retail camera store, with lots of hard-to-find accessories, like that lens you forgot to pack. Now part of Ritz Camera. An outdoor arts and crafts market, where merchandise is sold by the person who made it. Saturday and Sunday Only. Since 1974, the largest continually operating outdoor arts and crafts market in the nation. Centered in Portland's historic Old Town the Market is one of the most popular shopping destinations for local handcrafted goods. 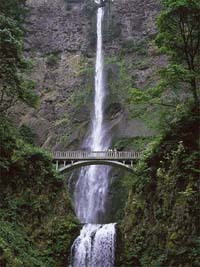 Sample vendors: Oregon Panoramic Photography, William Patric Moore Photorgrapher. A quirk of history kept a square mile near downtown undeveloped till the late 1990's. Shopping, eating, living, galleries, theaters, brew-pubs... It's all fresh and new. 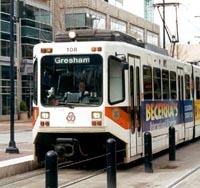 Take the Streetcar, stop at Powells . About 25 minutes South from Downtown off I-5 at the Wilsonville Exit. United States Postal Service "The Post Office"
FedEx Kinkos ( Federal Express / FedEx Office -- Formerly Kinkos).